This article was published on 01/02/2015. 1994 is the best year in gaming. I'm not just saying that as my opinion, either. After doing extensive research on this matter, I've come to the conclusion that this year is objectively the best year ever for games. Maybe not so much for the other media of the time, but this is a claim I'll certainly make about the video games back then. So many great games came out this year, it's almost surreal. There were even a couple of groundbreaking series that started in 1994. For the sake of consistency, I'll only be going by the North American release dates. If this bothers you, then that's your problem. I don't have to worry about your problems. Super Metroid is a timeless classic. It's like a fine wine; it gets better with time. Nintendo has yet to surpass this game, though they haven't been trying as hard as they should be. This game oozes atmosphere like nobody's business, with some of the best 16-bit graphics and sound around. It's also got spectacular level design, somehow achieving amazing direction while still being nonlinear. Super Metroid was and still is an extremely inspirational game. Many imitators came after it, like Castlevania: Symphony of the Night, which gave rise to what everyone now collectively refers to as the Metroidvania genre. 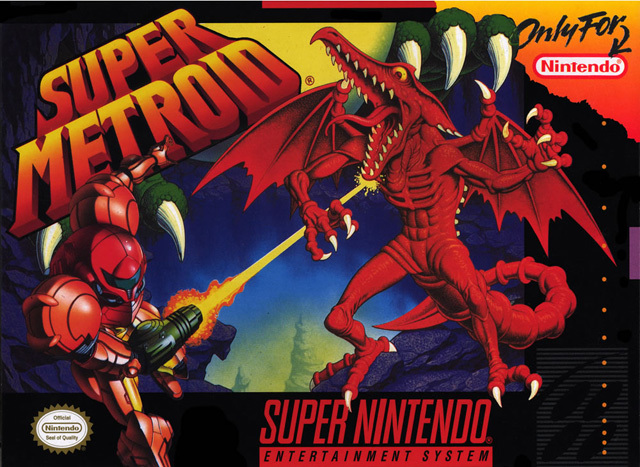 Super Metroid is not only a masterpiece, but it also essentially created a genre. That's a pretty big deal. It's not hard to find people out there who consider this to be the best game of all time. Even if it isn't the best game of all time, it's definitely a contender, because few games get better as they age. This game alone made 1994, but there are still so many other games to get to. Donkey Kong Country is an awesome game and started one of the best series of all time. This series was Rare's crown achievement, an achievement they've never been able to surpass, even now. 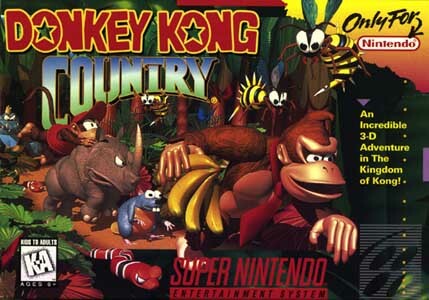 While Donkey Kong Country 2 is generally considered the better game, many insist that the original is still the best. Regardless, the original is where it all started, and it came out in 1994. The graphics were absolutely mind blowing for the time, being one of the first games to use a pre-rendered graphical style. Music wise, David Wise did a stellar job with the soundtrack, producing beats that would forever engrave themselves into many people's memories. And, more importantly, the game was a delight to play. Games like these gave Nintendo the competitive edge it needed to surpass everyone else. Donkey Kong Country is another classic that's just as fun to play today as it was back then. Final Fantasy VI is wildly touted as the best Final Fantasy game and one of the best RPGs ever made. Sure, Final Fantasy VII is the more popular pick among fans, but VI is easily the second most popular choice. 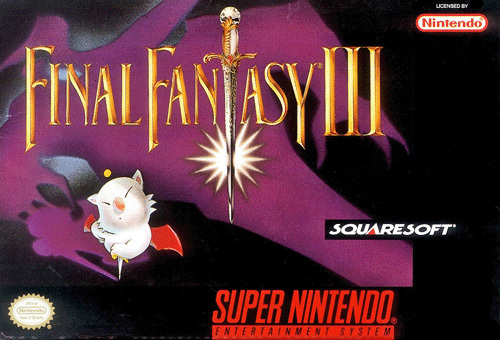 Even though VII was the game that turned Square into a juggernaut and singlehandedly made Japanese RPGs popular in the West, Final Fantasy VI paved the way for that. Practically everything that's good in VII started in VI; VII's Materia was inspired by VI's Magicite, VI did a steam punk theme before VII, etc. A lot of the hype for VII is also thanks to VI, as many North American fans were introduced to the Final Fantasy series with the sixth entry. Of course, the seventh entry gathered far more newcomers than the sixth did, but you got to give credit where credit is due. The debate as to which Final Fantasy game is truly the best will rage on throughout the ages, but VI will always have a favorable spot in that eternal discussion. 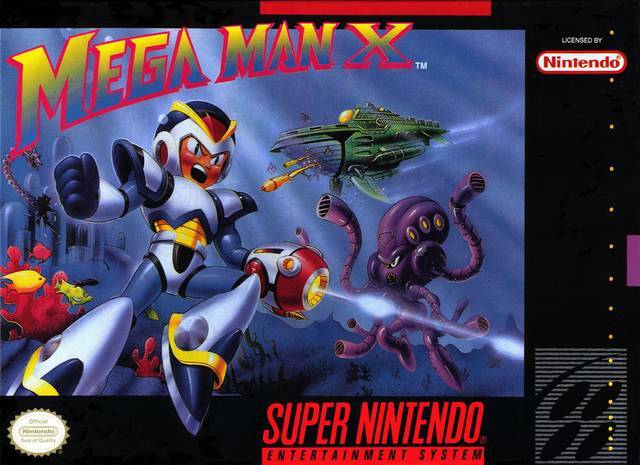 Mega Man X is a fantastic game, and is heralded as the best game in the X series, sometimes even regarded as the best game in the entire Mega Man franchise. It did the nearly impossible thing of reinvigorating a stale series with new ideas that didn't ruin the core formula. Many game companies could learn a thing or two from the example set by Mega Man X; this is how you do it right. Just about everything that made the older Mega Man games great is preserved in Mega Man X, and all the additions improve the experience rather than detract from it. Mega Man X ensured that Capcom would be able to continue milking the franchise for many years to come. If only the freshness of the first Mega Man X carried over into future entries in the series, but sadly, it wasn't meant to be. Even so, this game was the bomb, and getting to play it in 1994 was radical. 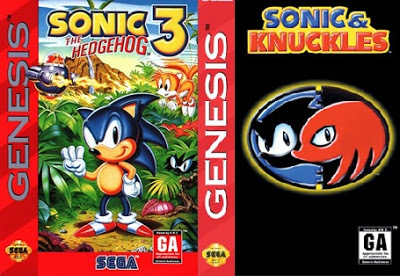 Sonic the Hedgehog 3 and Sonic and Knuckles are the two de facto best Sonic the Hedgehog games ever made. Sega was doomed to forever live in the shadow of these games for the rest of its days. Almost all Sonic the Hedgehog fans agree that these two games are the greatest, and that's quite a feat, considering how fickle the fan base tends to be. When combined, these games were too good to be true; graphics so good they made the superior Super Nintendo seem inferior, music so sublime it'd get remixed by fans for decades, more content than you can shake a stick at, and extremely polished game mechanics. Most of all, these two games were a blast to play through. Blast Processing was at its finest with Sonic the Hedgehog 3 and Sonic and Knuckles. Also, you might be seeing a pattern here: so far, all the games I've listed are considered to be the best in their respective series'. 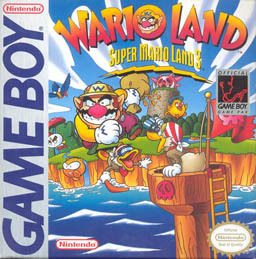 Super Mario Land 3: Wario Land is the first time Wario got his own game and the start of the Wario Land series. It's not the most significant game on this list, but still worth a mention. Wario had the attitude that Mario lacked, which made him the anti-hero everyone loved. 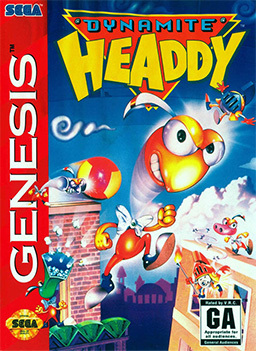 His games were also good, especially this one. This may not be the best Wario game, but it's the one that put this greedy man on the treasure map to success. The first Wario Land is still one of the most unique, as it's the only one that marries traditional Mario game mechanics with lightweight exploration. Cool level design, very good graphics for a Game Boy game, and whimsical tunes that perfectly fit the tone of the game; Wario Land was a fun diversion from all the heavy hitters that got released in 1994. Plenty of solid new series got started in 1994, and Wario Land is one of them. Honorable mentions go to Donkey Kong '94, Demon's Crest, Castlevania: Bloodlines, Contra: Hard Corps, and Dynamite Headdy. There are countless more games to list, but I don't want to be here all day. 1994 probably has the most "best game of all time" releases of any year in the history of video games. That should be a fairly good indicator of how great this year was. Another reason 1994 was such an awesome year for gaming was the awe inspiring catalog of games that already existed, like The Legend of Zelda: A Link to the Past, Super Castlevania IV, Secret of Mana, and so on. The horizons were also bright, what with more incredible game releases on the way, and the rumors of next generation hardware. It was a great time to be alive; take my word for it. 1,388,056 people love this site.